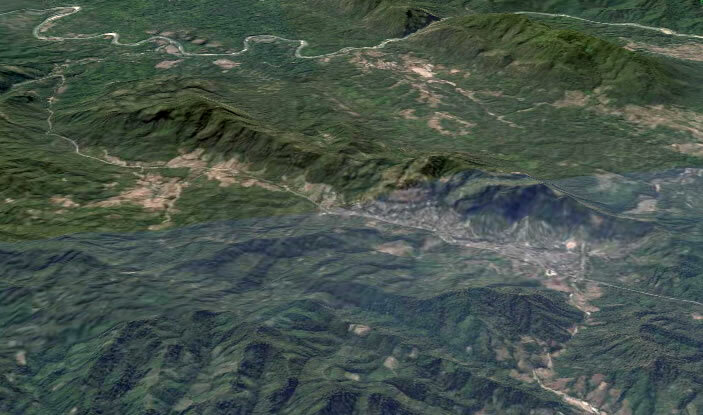 The video above uses Google Earth to show where the Mae La refugee camp is situated and how big it is. Mae La is the largest of seven camps along Thailand’s border with Burma (the country whose military dictators renamed Myanmar) these camps house over 140,000 people who have fled when the Myanmar military forces burned the villages, and committed atrocities which caused ethnic minorities (and especially the Karen people) to believe they intended genocide. DEAR DR SIMON IF YOU WOULD NOT MIND CAN I HAVE YOUR E MAIL ADDRESS PLEASE? Replied by email 11th May. I am looking to speak to someone from the KED to help me get an Employment Verification for a previous teacher from the Mae La Camp – No (1) High School.. Can you help me send a verification? I am sorry, unless No (1) High School is in section 3 of the camp I do not have any contacts that are likely to be able to help, the camp is like a small city and I am currently in NZ not Thailand. Hi, I came across your ministry through Dr. Johnson Lim in Singapore. I’m an alumni of Singapore BTS and am now involved in Education Mission, running a Christian School in Johor Bahru. I would like to know if there is a great need for English education classes at Mae La. I will follow up on this if there is such a need. Also, when is an appropriate time to pay a visit over there. I am thinking of having a few of us going over to learn first hand of the educational needs, and perhaps organizing a class or two. Shalom, God bless your work. I’m looking for volunteer opportunities this summer for 4-6 weeks. Could you email me any programs that I could apply for and join? Thanks! I have a family that sponsored their mother from the camp back in 2004. Her case has been lost and we can not track where and how she’s doing. Is there any way we can get news from her case overseas? Any help would be greatly appreciated. It must be hard especially if you are far away. Are there many Karen people where you are? I have 3 Karen students who used to live in Mae La. They were very happy to see pictures!! I am presently trying to raise funds to build a library / incipient university in Mae La. If any one can help please be in touch. I will forward my project proposal. I am currently working on a like-minded project. I am based in NY, but would love to talk and see how we could work on something together! My email is Bobby at hateisugly dot com. I hope that this message receives you well after four years time. I haven’t a lot of very up to date information except that food is an increasing problem as donors move their giving into Burma in the hope that the current ceasefire and political processes will lead to lasting peace. Refugees living near you will have frequent and recent contact with family and friends still in the camps. This past summer I was was lucky enough to be given the job of being an ESL teacher to several students from the Mae La refugee camp. In all of the 11 years I have taught, I have never been so blessed as to be the teacher of some of the sweetest, most respectable students EVER. These students WANTED to learn, always greeted me, and wanted to know how I was doing. Most days I felt like the student in the classroom when they told me what they have had to go through in the camps. It is an experience I will never forget. I realize that this was over 4 years ago, but I was wondering if you recalled the program that you worked with to teach classes in this camp? I am a TEFL certified teacher and would love to find a program that I could work with to teach ESL classes here. Thanks so much! I am a journalism student and I am working on a story for Carleton’ School of Journalism in Ottawa, Canada. This story is set to air on monday morning (our time). My story’s angle is focusing in the present situation along the Burma-Thai Border. I’ve accumulated a few resources here but I would still like to talk to someone who knows first hand about the situation on the ground in Thailand and Burma. This is for radio so I would really appreciate an interview over the phone so that I may use a clip for the story. Please let me know as soon as possible. I really appreciate all your time and help. Thank you. I’m interested in teaching ESL in a refugee camp. I have 7 years experience serving as a missionary in Indonesia primarily among Afghani refugees in detention centers. I’m CELTA certified with experience teaching business English to adults, and to children of all ages in both Catholic and public national schools. I have a heart for displaced people and I desire to bless them with skills so that they can further grow and flourish. How can apply for teaching work in detention centers? Could you please help me? Hi, Susan, in terms of paid (or even supported, beyond food and shelter while you are there) I guess the best way is to approach NGOs who work in the area, a Google search will throw up some possibilities, I know one NGO that often is looking for semi-volunteers for Umpiem camp. Our own experience was as volunteers who paid our own way. Hi, I will be venturing to Mae La camp this summer, not sure with which organization yet. Anyway, I am the community organizer for the refugee community from Burma (out of Mae La camp) in San Diego and I will have letters to deliver to family member in the camp from their family members in San Diego. I was wondering how I would be able to access all area of the camp to walk and find these families houses–all I will have is their addresses. Is this possible to do? I am unsure how I will get into the camp, but I have to do an internship with school–so I should be set up with an organization. Hi, I am a university student from Singapore and I will be graduating in about a month’s time. I will be spending a few days in Chiang Mai this june and I would really like to take that opportunity to visit a Burmese refugee camp to to see what it is like and to explore volunteering possibilities there. I have emailed a couple of NGOs, but have not received favourable replies so far. I’m wondering if you could give me some advice on how I might be able to get in or some NGOs you know which might be willing to bring me in? Replied by email. Basically mentioning that a few days is a short time, and suggesting one NGO and an informal group working with IDP children. Hi. Thank you so much for this post. I am a US law school student who has previous experience working for refugee rights. I will head off to Thailand soon, and I was also wondering if I could accompany an NGO to visit a camp sometime. I assume by your previous posts that it’s possible to enter alone, but I figure helping an NGO out while visiting a camp would be much more worthwhile and rewarding. Thank you so much for your help, and I look forward to hearing from you! Hi, I am a medical student from the UK and am looking for volunteering opportunities for my elective. Do you know of a/team of doctors there whom I could get in contact with to see if there is any potential of me helping them out for a period of 5 weeks? I been living with a lady and her 3 children for 2 years that is from your camp. They are here in the United States now. I meet a lot of Karen people here. i am in Mae La Camp now and I know that the Thai Government is not allow to foreigner to visit in this camp. If the want we have to inform them before a day. And another things is Thai and Burma government are combine each other and allow to move refugee people to Burma site…But as for me, I have not home in Burma right now…We got a trouble by government, that’s why all of my family already to move to this camp…I am really afraid to go back to Burma..I never trust Burma government..Because they are killing our people a lot.Please pray for us..Thanks. Barbara and I are praying for you all. We realise that while the cease fire between the KNLA and the Burma government (which comes after a number of other hopeful changes) does not yet make it safe for people to return home. We do hope that this beginning may make a return to Kawthoolei and a new start for for the Karen people possible before many more years. I am seeking to work in some capacity with Karen around Maesot. I am a retired forester, conservationst, teacher and trainer (I have a lot of experience in developing countries in West Africa) I am happy to teach english and am sure that I may have other skills to offer. I am travelling to Thailand in a couple of weeks and intend to come to Maesot to explore the possibilities. Can you point me in a good direction please so I can make the best use of my exploration time. I’d suggest places like the Canadian coffee shop, number one guest house (if he’s still there) and the Mae Tao clinic as places to try. Or if you email me maybe we can help with a more direct contact. You have helped so many people with advice and direction! Maybe you would be able to provide a suggestion for me as well. We are trying to plan a trip to Mae La – taking along some refugees who have been in Raleigh for six years now. Do you know if we can make certain plans to enter Mae La as foreigners, or would we only be able to get in “unofficially”? Hi. Am glad to read about your work amongst the Karen in Mae La. I have basic command of the Sgaw Karen language and am currently exploring in greater detail ways I can be of service to the Lord and His Kingdom. Lord willing, I would like to do so in Mae La. How do I begin? Thank you!! I am interested in volunteering with several friends from my church. I lived in Thailand for 5 years and visit regularly. Can you tell me about the current state of the Mae La refugee camp and what needs do they generally have there? You can contact me at ed at teune dot com. Stephen, without some ideas of what organisation or group she might have contact with this would be very difficult as there are 30-50,000 people at the camp possibly a request through the Thai Burma Border Commission might help?